Gatsby's House, one of the biggest parties of the season will take place at the Omni Houston Hotel for New Year's Eve. 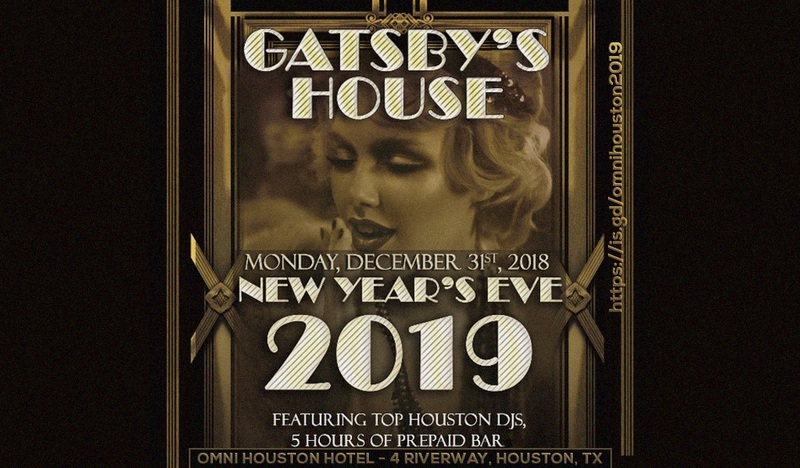 On Dec. 31st (9pm to 2am), guests of Gatsby's House will enjoy 5hr prepaid bar, four areas for mingling on two floors of fun, music by three of Texas' top DJs, and a countdown like no other. Plus - in accordance with the "Great Gatsby" theme - the event also features a casino night speakeasy with tons of prizes to win. Guests are encouraged to dress up in best attire they can find from 1920's (Flapper; Zoot Suits). Otherwise, semi-formal - cocktail attire required.